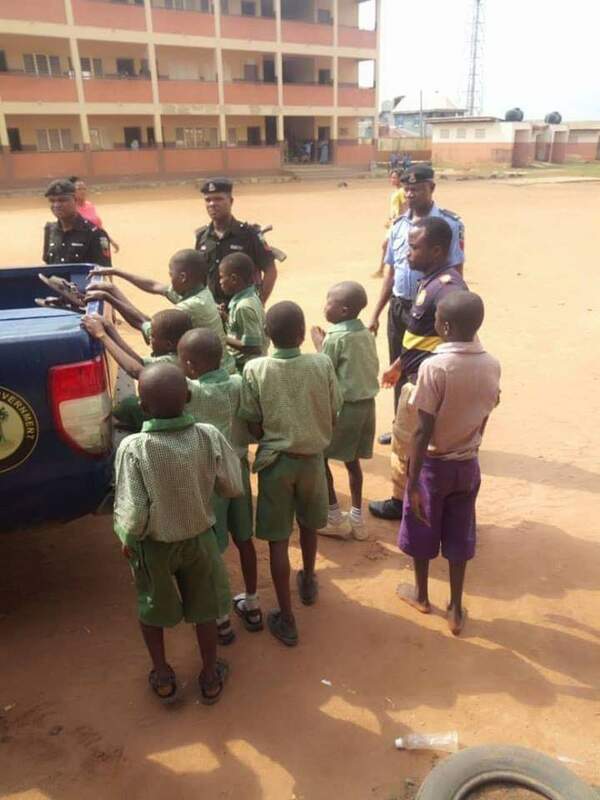 CULT ACTIVITIES: 10 PRIMARY SCHOOL PUPILS OF EGAN COMMUNITY PRIMARY SCHOOL CAUGHT. A joint operation of LNSC Igando Ikotun LCDA and Nigerian police Igando Division has led to the arrest of some public primary school pupils of Egan community primary school in Lagos State. The minors numbering 10 were apprehended when they were having a clandestine meeting at a secret place within the School premises their age range is within 8yrs to 16yrs. The pupils arrested for Suspected Cult activities confessed to have been initiated by a young girl named Salami Rasheedat, 16 years who attends Egan Senior Grammar. After a careful observation an incision was noticed on their lower lips. The pupils were later whisked away from the school premises to Igando police station for further investigation.